Missing teeth can cause alignment issues and a plethora of other oral health problems, but dental implants are the next best thing to your natural teeth. Dr. Abdallahi Sidi El Moctar is a dental implant specialist who offers BioHorizons® implants at Dental Studio at Rosslyn in Arlington, Virginia. If you’re missing teeth and want expert care in replacing them, call or book an appointment online to learn more about dental implants today. Dental implants are a strong, durable, and permanent way to replace missing teeth. In fact, implants are even stronger than natural teeth because they’re anchored into your jawbone with a tiny rod made of titanium, one of the world’s strongest materials. If you want to restore both tooth and root, dental implants are your only option. After the titanium implant heals, Dr. El Moctar places a customized crown on top. The result is a natural-looking tooth that blends in with your smile. Why would I get dental implants? Dental implants are the new standard in restorative dental care. They not only allow you to perform daily functions like chewing and speaking, but they protect the bone structure of your face. Dental implants offer various advantages over other teeth-replacement methods, such as bridges or dentures. Since implants are permanently rooted in your jawbone, they provide unparalleled strength and durability. Implants also remain fixed in place, so you don’t need to worry about speech impediments or difficulty chewing your favorite foods. Dr. El Moctar can also use implants to secure a bridge or dentures if you’re missing several teeth. First, Dr. El Moctar performs a comprehensive dental exam to determine whether dental implants are right for you. If you decide to get implants, the process occurs in two steps. 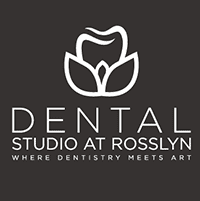 Unlike other offices that require you to see a separate oral surgeon, Dental Studio at Rosslyn conveniently offers implant surgery in-house. The first step involves surgical placement of the titanium rod. Dr. El Moctar is an exceptionally skilled oral surgeon who uses high-quality BioHorizons implants exclusively. After you heal from surgery, he places a custom-made crown over the top of the implant. Then, you have a brand new, long-lasting artificial tooth that blends in naturally with your smile. To learn how dental implants can restore your healthy smile, call Dental Studio at Rosslyn or book an appointment online.